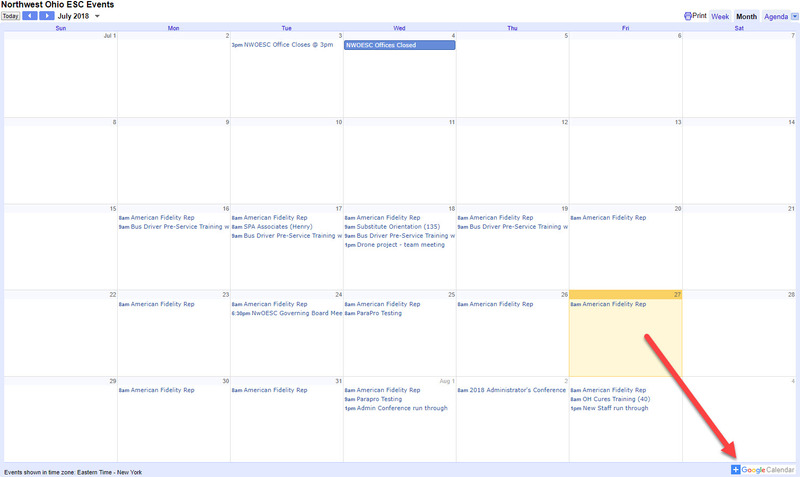 All of our events, on-site and off-site, are posted on a Google Calendar. This calendar is displayed on our website, but you also have the opportunity to subscribe to our calendar inside of your Google Calendar. To subscribe, go to the following link, Northwest Ohio ESC Events, and click on in the bottom-right hand corner. It should look like the image below. Click here for more information on following Twitter accounts. Click here or on the icon at the top of our website. Read more information on following organizations on LinkedIn.